Have no time to visit your local salon? If you prefer to have hair services in the comfort of your home, contact Mobile Hairdressing. They offer a wide range of mobile hairdressing services at affordable prices. For prompt and tidy service, rely on their mobile hairdresser. Betsie has been cutting and colouring my hair for 16 years. She does a great cut and adapts colours as the colour of my natural hair changes. In addition, I recently had quite a bit of hair loss and she managed to make it look as good as usual. Thank you, Betsie! I randomly googled for a mobile hairdresser and took my chances with Betsie. I've used her twice now and can say that I'm very pleased with the outcome of my haircuts. She has been prompt with the appointment time on both occasions. She also comes well equipped with a sheet to place on the floor as well as a cloak to put around you and cleans up after so that there is no mess left behind. I would highly recommend Betsie. Betsie carried out a cut and blow dry on my elderly mum. She was punctual, friendly and mum was very pleased with her new hairstyle. Thank you. Looking for a mobile hairdresser? Contact Mobile Hairdressing today. 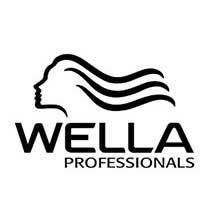 They offer excellent hairdressing and hair care services.